Being motivated is the first step towards achieving what you want. Self motivation and development is a must. A little self motivation will generate a little result. So we need to develop and increase self motivation to the level of the achievements required. 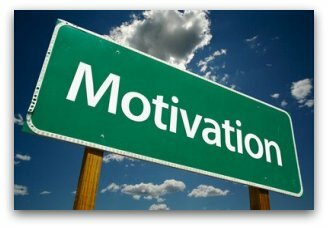 Increasing your level of motivation is an inside job. It not only has to be applied but also taken seriously, nurtured and fine tuned. Unless the self image is great enough to embrace your aspiration, all efforts will fail. A very large airplane could not land on a small runway … it simply wouldn’t work. So to attract large airplanes you need a large runway! That’s pretty obvious for the airplane, but are YOU big enough to attract the large achievements you desire? Words are cheap and of themselves not enough to expand your self motivation and development. A little league quarterback, no matter how good, could not succeed in a major team with ‘little league’ motivation. He would need extensive and expansive development. Many years ago my teacher read the manuscript of a book I had written and offered to submit it to a publisher for me. Within two weeks I was under contract with the book. Yet prior to that I had already submitted the same book to the same publisher and it was rejected! Why would this happen when there was nothing different in the book? The reason was that her self motivation and development plus self esteem was big enough to encompass that achievement, whilst my self worth was too small. This is a true story from which I learned a very great deal. Increasing your Self Motivation and development expands the individual in various ways. Self esteem and confidence expand proportionately and can have some amazing effects. I have worked with people to increase their self confidence and motivation and they were quickly promoted or found a better job opportunity … often without even trying. They were amazed by such sudden developments. The reason is because in that expanded state of self esteem and confidence, plus being highly self motivated, they no longer fitted into the old position. They had, quite literally out grown the job, or became over qualified. These situations are surprisingly common in my experience. Most common in failed goals is lack of abundance or money. Ask them what their goal for money is and the reply is to be ‘stinking rich!’ And the reason they have not reached that goal is that their self motivation and development plus self esteem is just not big enough. Their runway is too short! They have created their own resistance and blocks for that amount of money to land in their experience. Solution? Select a smaller amount. Maybe setting a goal for a smaller amount would be more productive. Say a little greater than what you are already making would produce results. Once this has been achieved self motivation, confidence, and self esteem quickly increase. Success breeds success.